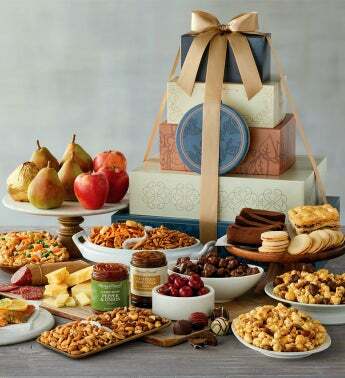 Send a spectacular tower overflowing with sweet and savory gourmet delights. 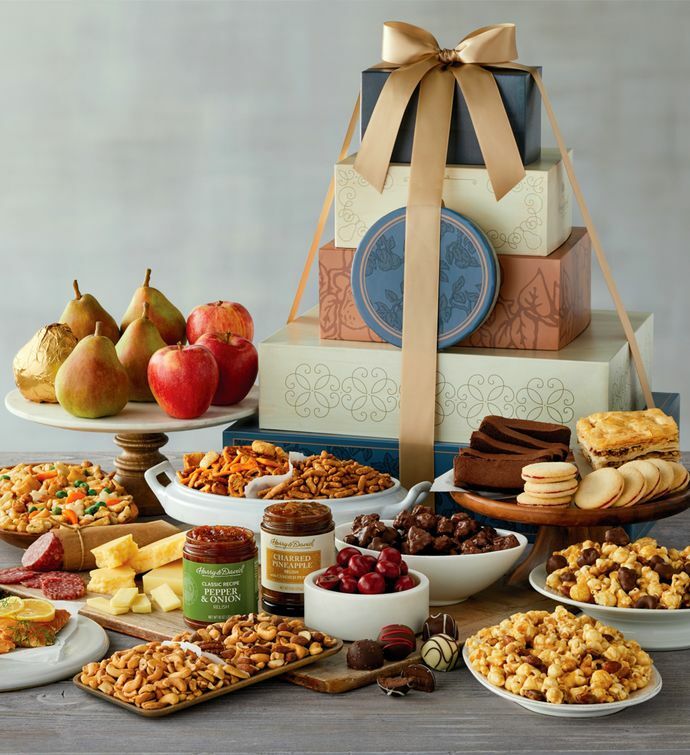 This six-box tower brims with juicy Royal Verano® Pears from our orchards, three flavors of irresistible Moose Munch® Premium Popcorn from our candy kitchen, Milano Italia dry salami, and a host of other tempting snacks. We've also included premium apples along with chocolate decadence cake and buttery galettes from our bakery. This impressive gift is topped with a hand-tied bow.